« Do You Know Where Your Mulch Comes From? 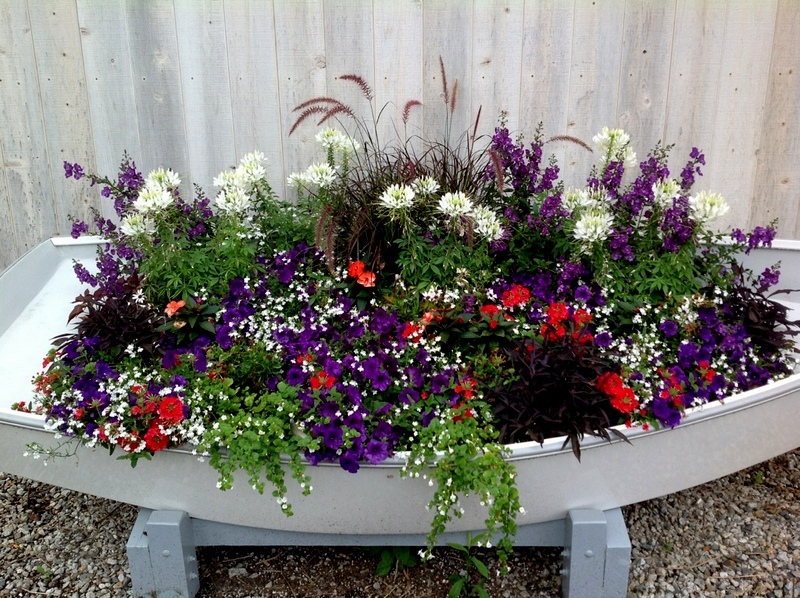 This entry was posted on July 9, 2014 at 7:00 pm and is filed under annuals, annuals, container gardening, container gardening, containers for shade, How to, landscape design, organic gardening, product review, shade annuals, sustainable living with tags annuals, annuals for containers, annuals for shade, annuals for window boxes, Carolyn's Shade Gardens, container gardening, containers, containers for shade. You can follow any responses to this entry through the RSS 2.0 feed. You can leave a response, or trackback from your own site. Although being able to plant the perennials into the garden, it is a shame to waste them in containers used for such a short season unless they have been there for years getting mature. Even when planted in the garden the first year, they are not mature enough to make any type of garden statement. The coleus, being an annual, will have time to fill the space. Is that sweet potato vine ‘Blackie’? It will likely overwhelm the grasses in very short time. 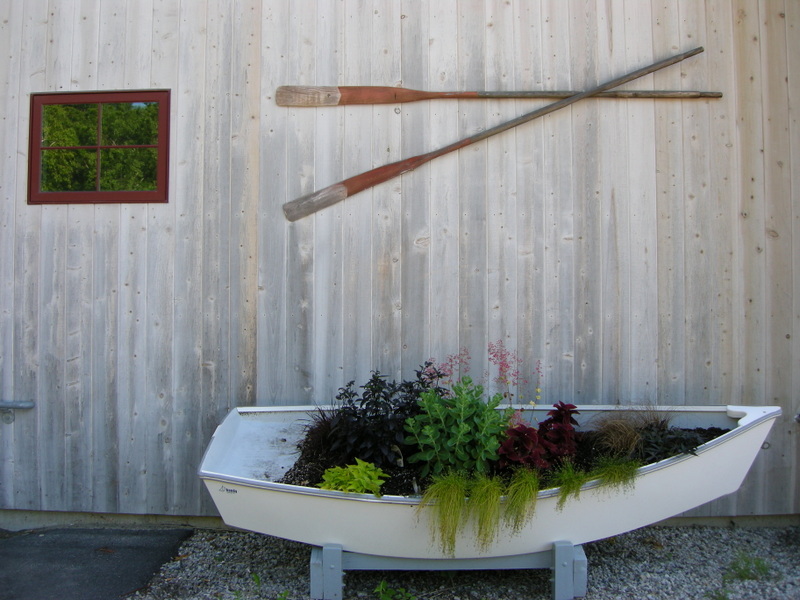 I see they used sweet potato vine in the 2012 dingy. I bet by the end of the season they were large. 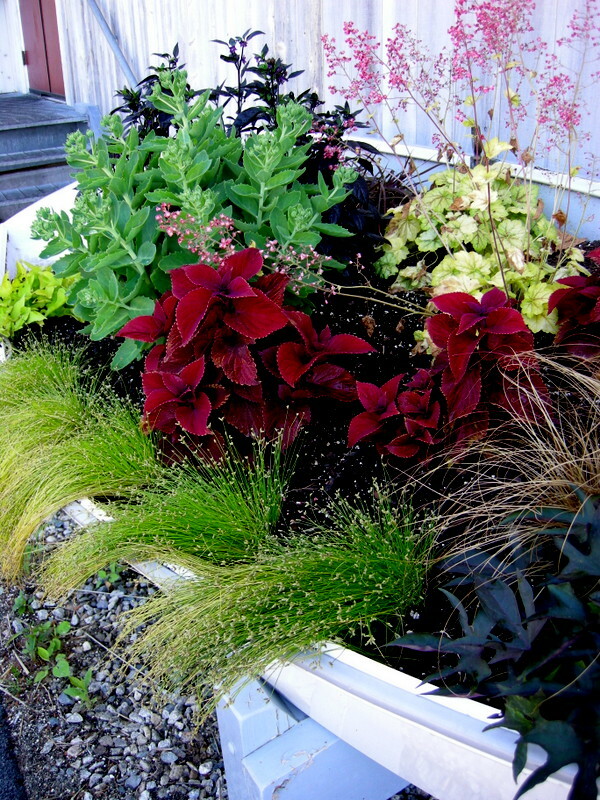 Donna, I use a lot of perennials in containers, some of my favorites are lamium, colored heucheras, Hakone grass, and hostas. They are mature when I put them in the container and even bigger when they go into the garden. 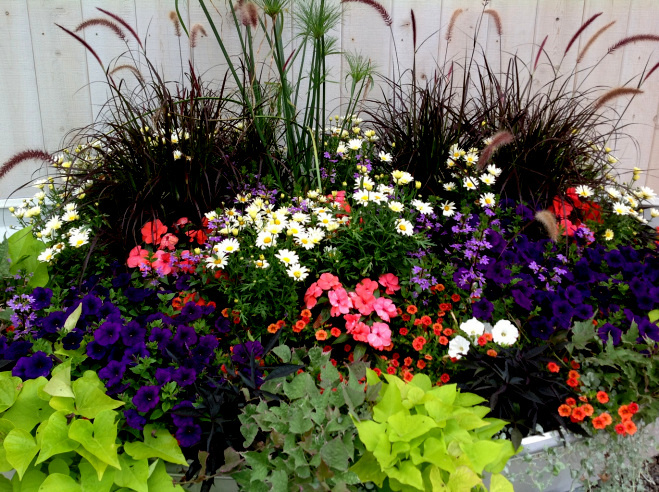 It is a great way to get “bang for your buck” instead of purchasing all annuals which are now the same price as perennials. Also good as a textural contrast in containers: a bit of Liriope or Carex morrowii for grassy texture if you don’t have Hakonechloa. And of course for trailing (spillers!) you can’t beat some Golden Creeping Jenny aka Lysimachia nummularia. This season, I’ve had enormous success with some newly purchased (from Lowes) pieces of Ajuga ‘Burgundy Glow’ to plant with purple pansies. 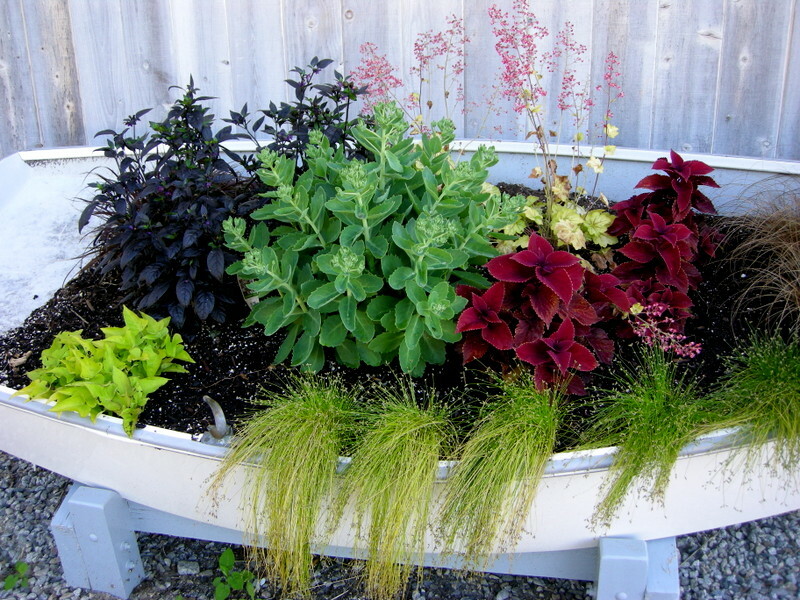 With limited sun, they’ve flourished and nearly covered the edges of a 14″ container. Hmm, maybe they are on a budget this year? Or the seeds they started early failed? Too bad, the previous ones are so gorgeous. I especially love 2013’s. 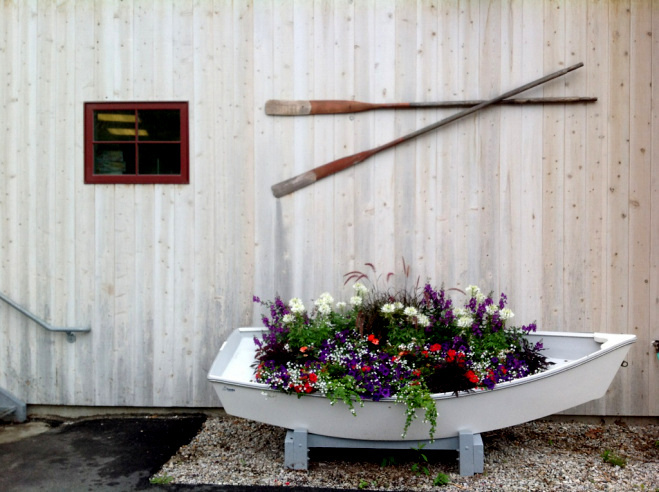 It was like a whole cottage garden in a boat – awesome! I have to admit–I like all three. I agree, though, that this year’s is scanty (although I love the plant combinations–a little more understated). If they would have added some kind of filler element, it would have looked better. Perhaps there were some budgetary issues, too. 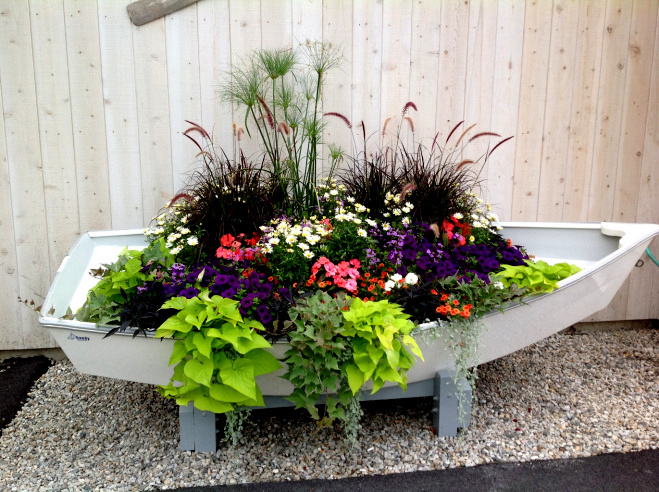 Great illustration of container gardening techniques! To get to a really nice planting you have to experiment here and there, and I guess it doesn’t always WOW the same. Maybe it will fill in a bit more with warmer weather and maybe next year will be better than ever… it would be a little dull if the same thing kept showing up. Don’t underestimate the coleus, I think it’s ‘red head’ and will likely overwhelm that end of the boat by the end of the season! Maybe It isn’t finished. Maybe someone started the planting and was called away and the forgot about it?